A letter was sent to the court of New York on Thursday. This letter was sent by the attorneys who are the representatives of Exxon. The letter stated that the usage of an email address under an alias name by the Secretary of State of the United States, Rex Tillerson when he was discharging the duties as the Chief Executive of Exxon Mobile Corp is proper and does not break any rule. The Attorney General of New York, Eric Schneiderman is the person who is dedicated to the investigation regarding how the company Exxon has misled its shareholders along with the misinformation provided to the public about changes of climate. On Monday, the judge accused the company of not disclosing Rex Tillerson’s alias as well as his communication all through the processes earlier. 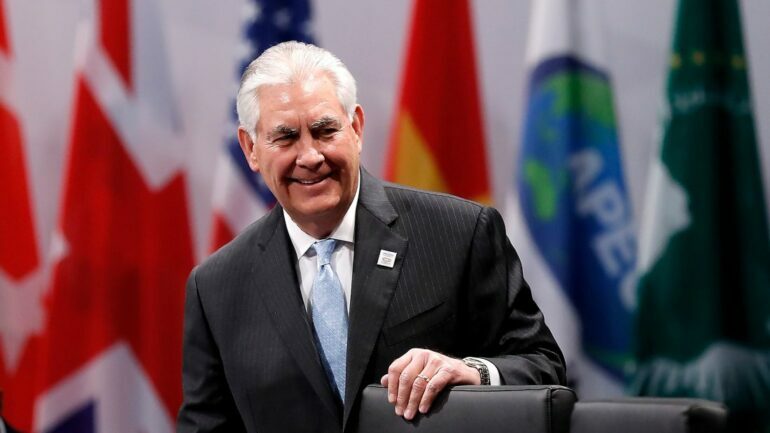 The State Secretary of the United States, Rex Tillerson has been found using an alias email address while he was working at the oil company Exxon in order to exchange the essential information pertaining to the various prominent matters along with details of climatic changes. This alias email address permitted a specific group of handpicked senior executives who could send messages that were time sensitive to Rex Tillerson. These messages were then received by Rex Tillerson on the basis of priority as compared to the other daily traffic that comprised of normal messages. Attorneys belonging to Paul Weiss Rifkind Wharton and Garrison LLP law firm said that the primary objective of this alias email address was to ensure more efficiency instead of promoting any kind of secrecy. The attorneys also added that if the officials had to make the messages secret and private then they would have refrained from adding Rex Tillerson as the reference in all the recipients of the messages and emails. The attorneys also commented on the letter dated 13th March by the Attorney General and said that it was a tool used in order to gain publicity instead of information. The letter dated 13th March by the Attorney General of New York had asked the judge of the court for an explanation if the board members and executives of Exxon have preserved the documents pertaining to the alias email as well as other additional accounts of the executives involved in this case. The number of such accounts that are to be checked is 34. As a result of this, the company has provided documents comprising of 2.5 million pages as a response to Scheiderman’s subpoena. However, the documents are inclusive of only 160 emails from the management of Exxon. Recent investigation informed the court that Exxon has now confessed that it has not preserved any documentation of the email address that was used as an alias.